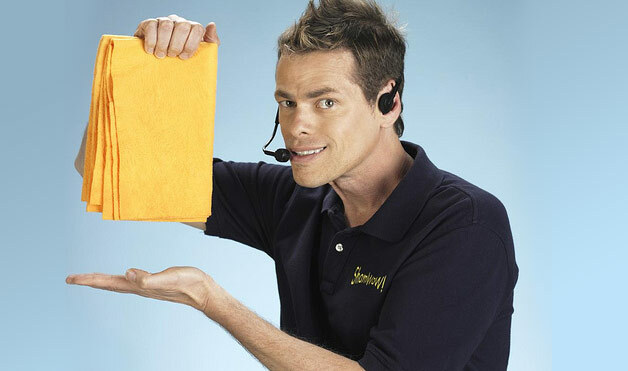 There is a marketing scam going on this week to rival Vince Shlomi’s ShamWow (which holds 20 x it’s weight in liquid) and SlapChop (which sits in your cupboard until you toss it). 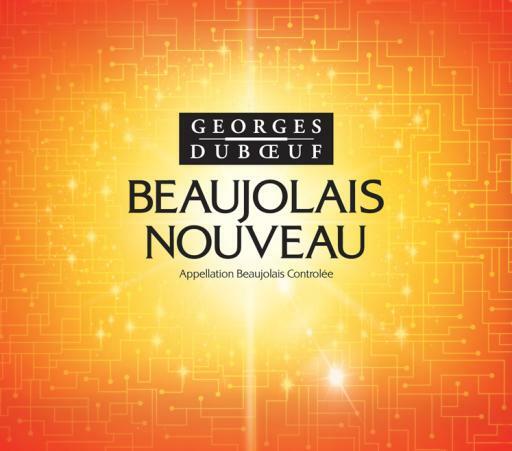 Each year the French, led by the irrepressible Georges Dubœuf , market and sell a product that they’ve spent more time and effort marketing than they have making. But I love it! Beaujolais Nouveau will be released Thursday all around the world and at our LCBO stores and I couldn’t be more excited. It is the first taste of this year’s harvest – 2012 – and is the red wine that white wine drinkers like. 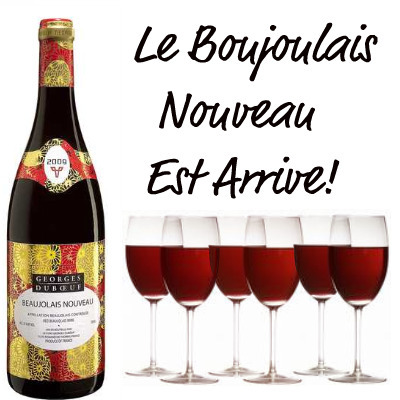 I’ve witnessed several “conversions” of people who had previously told me they don’t like red wine until they tasted the little french gem that is Beaujolais Nouveau. The wine is light and juicy and is as quaffable as anything you will ever drink. There are several French Nouveau available Thursday along with a couple of Italian Novello (because they can’t let the French out-scam us without getting involved) and two Ontario wines that have gotten into the game. See the full list here. So Georges Dubœuf, with that clever little œ in your name, I am ready once again to believe the hype and buy the ShamWow of wine once again and party like it’s 1999. Come to think of it, I’ve never seen photos of Vince and Georges together – they may be the same person! Muumuu is also a great word with consecutive u’s in it. But more importantly – I have good news! I have found the information that I previously thought was in a vacuum – which was becoming a black hole for a Beaujolais lover like me. Next Thursday November 15th the LCBO will have the following wines available for the Beaujolais Nouveau release. I am going out on a limb and recommending based on past performance – results from the informal poll at my party will be forthcoming. Here is the list – directly from a person at the LCBO who refuses to be identified by any other name than helloLCBO. 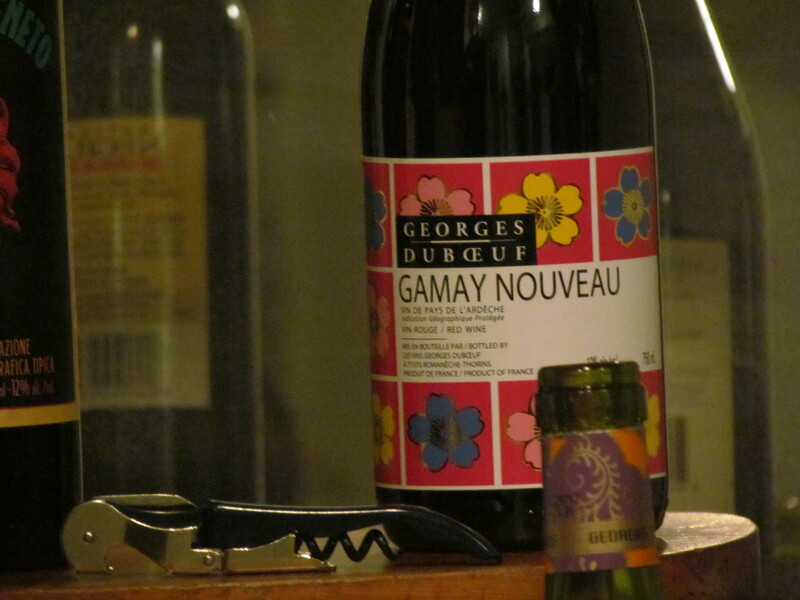 Duboeuf Gamay Nouveau – this is the one that I will purchase 6 bottles of right away, no questions asked as it will be amongst the most inexpensive and the juiciest of the Nouveau. Novello Rosso Terre Di Chieti – I won’t buy any of this since I’ve invited Italians to my party and they can’t resist rubbing it in the face of the Frenchies. Jeanjean Syrah Primeur – made with Syrah, probably good but I am a Beaujolais purist (maybe the only one in the world and I don’t care if Carolyn is making fun of me). Primeur Syrah Merlot Pays D’Oc – this isn’t right, Merlot has no place at my Nouveau party. Chateau des Charmes Generation Seven Gamay Nouveau VQA – Okay, this sounds like a promising local – I love everything that Chateau des Charmes does! And from the VINTAGES program – two classics that cost more but are totally worth every penny. Hello LCBO – bring it!